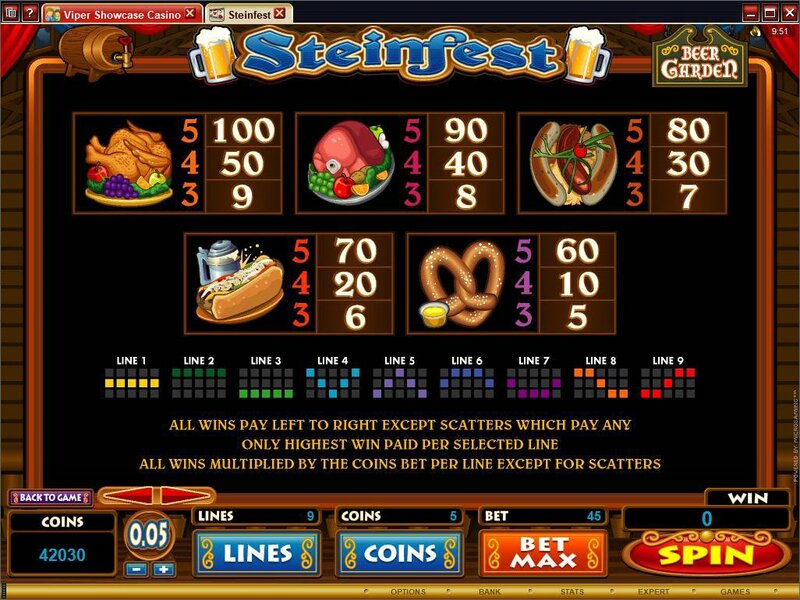 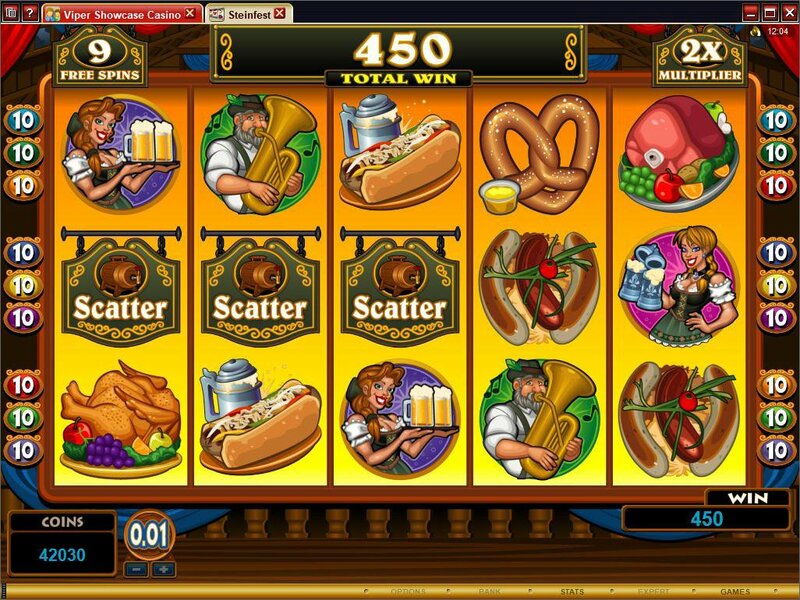 Overview: Players don't need to don lederhosen and Tyrolean trilbies to play the latest video slot online - our latest game, STEINFEST, brings all the action direct to the computer screen in the privacy of the home. 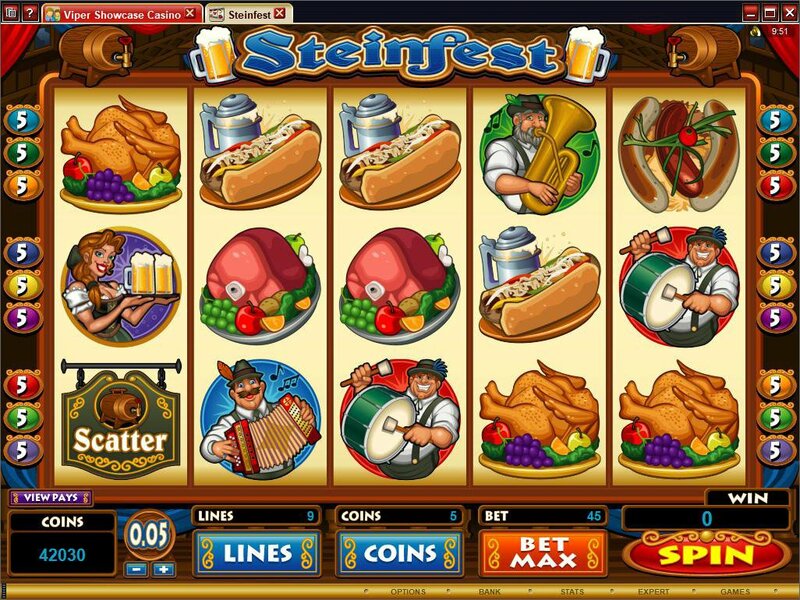 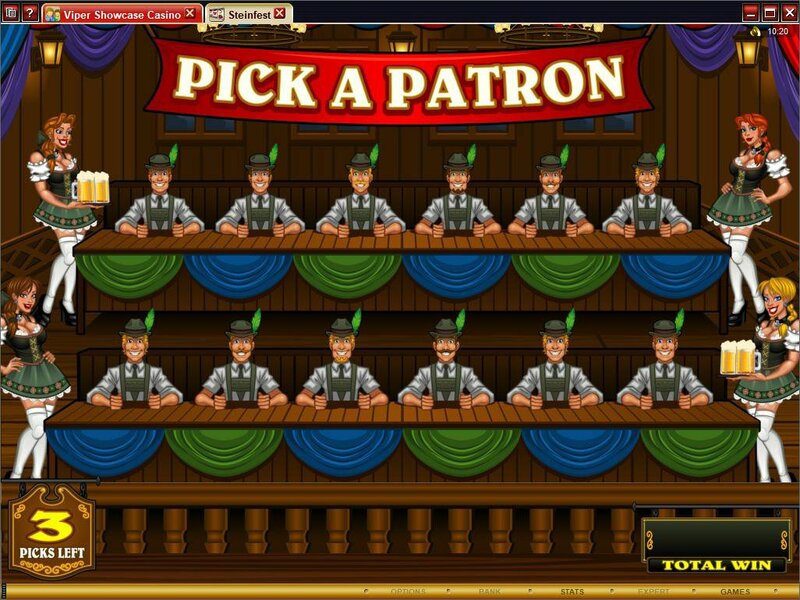 The theme on this multi-featured game is a salute to one of the most enjoyable experiences around...the German beerfest, showcased in colourful quality graphics replete with scrumptious dishes, delectable serving frauleins, a jolly oompah band and, of course, plenty of ice cold and superbly brewed beer. 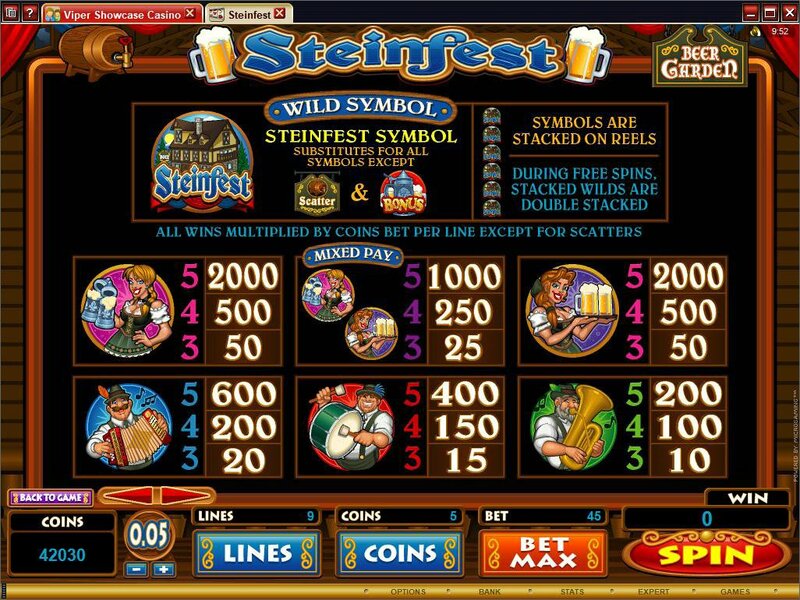 The German village where the fest takes place is appropriately Wild, enabling the player to build winning combinations, and with the added advantage that during Free Spins the stacked Wilds are generously doubled. 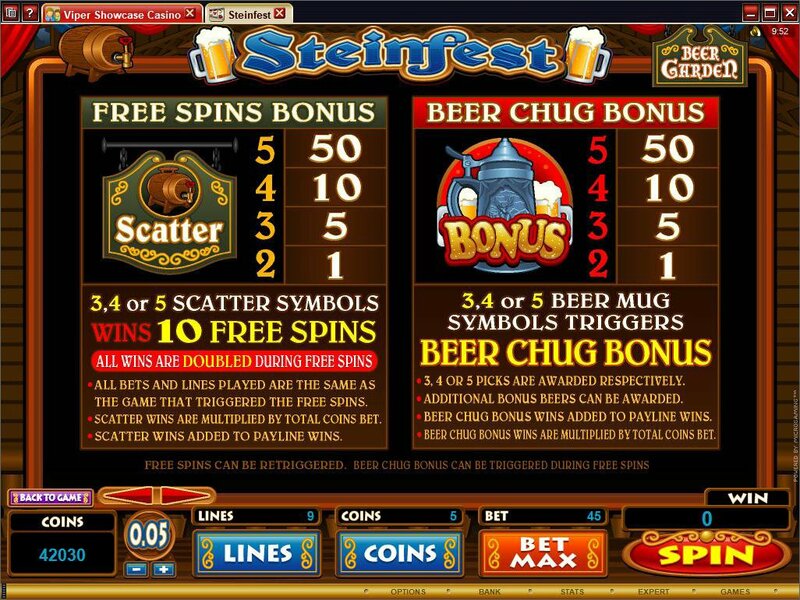 Similar Slots: If you like Steinfest, you might like these other 5-reel slot machines: Chain Mail, Hitman, Ladies Nite, Mad Dash, Sure Win, Voila.